Hire the top 3% of experts in PHP development services. Toptal is a marketplace for top PHP development services. 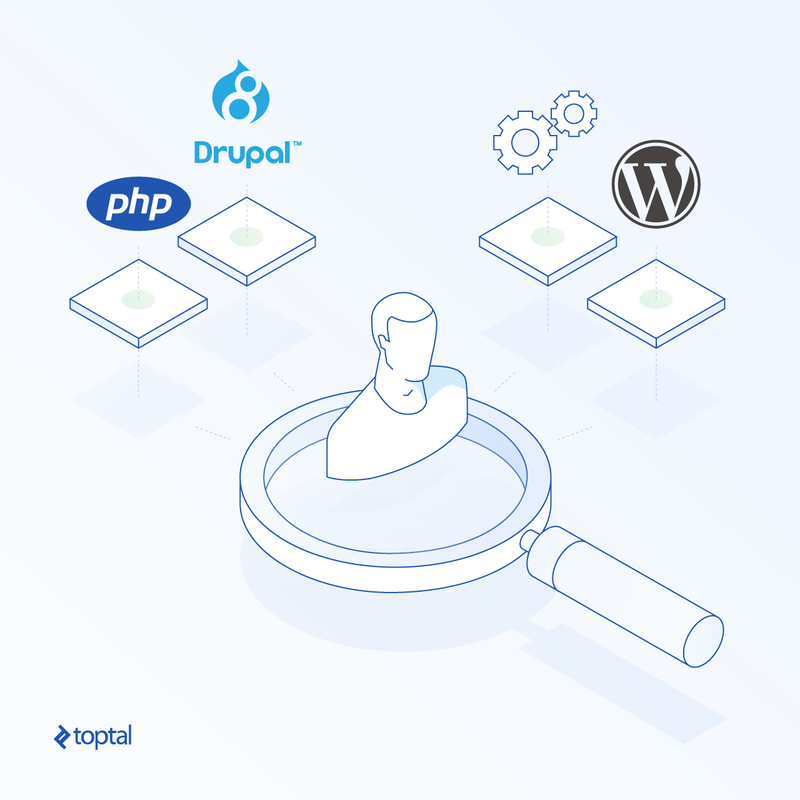 Top companies and startups choose Toptal’s PHP web development services for their mission-critical software projects. Toptal helps you hire proven PHP freelancers on demand, from its elite development network of experts. See why top companies and startups trust Toptal to hire top PHP web development freelancers. Toptal is a marketplace for top experts in PHP development services. Top companies and start-ups choose Toptal freelancers for their mission-critical software projects. Edward is a web architect, technology enthusiast, and problem solver. With over 12 years of industry experience, he has delivered scalable and robust software for high traffic, enterprise level mobile web and eCommerce applications. Viktor is a dedicated, collaborative, and result-oriented computer application systems analyst and programmer with extensive experience in all phases of system development. He is interested in challenging tasks and intelligent solutions. Viktor is also a mathematician with experience in discrete optimization and it's applications in fields of production and management. Jerry's 34-year career in engineering with Boeing has given him broad hands-on experience in many aspects of cutting-edge technology. His professional experience includes diverse accomplishments in software/web development, systems engineering, data analytics, applied math, and web-based commerce. Matt is a top senior architect, web engineer, and overall good guy. Not only does he understand what it takes to build solid, reliable, and extendable web applications, but he also understands the underlying business behind the code. A talented engineer who develops solid solutions again and again. Nikola is a software developer, computer scientist, and mathematician with a decade of experience in successfully delivering projects in various programming languages and paradigms. He is a practical individual who prides himself on clear communication and efficient coding. Sergio is a software engineer with over 10 years of experience in a wide range of platforms, languages, and frameworks. He is a problem solver who tries to find abstractions that make complex problems look easy. He also enjoys breaking things apart to discover elusive bugs, performance issues, etc. Dovev has 15+ years of experience in front and back-end coding on Linux systems, web design, and logo design. He has led small teams with integrity and a strong work ethic, and communicates effectively with both technical and non-technical staff. With Dovev, clean, accurate, and maintainable code is always a given. Ugh. That super-tedious task your department is responsible for is coming due again. If computers are so smart nowadays, why can’t they do mind-numbing jobs like this for you? Why not find out if they can? Automation of business tasks is just one way that PHP developers apply their skills. Maybe your business is ready to execute a new idea. Maybe you yourself are launching a startup. In this article, we will go through these and other common situations that indicate you should consider hiring a programmer and why you should hire PHP developers in particular. So how do you know you’re ready to hire a PHP developer? 1. You want to build a product by combining existing online services. Sending an SMS reminder to your customers, generating PDF invoices, integrating with payment systems, gathering feedback from Facebook, you name it: Today is the era of online application programming interfaces (APIs). These are simply programs created by companies and made available publicly to be called online. Big companies like Google, Amazon, and Microsoft have APIs available for all of their products and services. They process data and execute tasks according to your orders. APIs nowadays can do a lot of useful things for you. Probably much more than you can imagine. Take a look at API For That, APIs.guru, or ProgrammableWeb’s huge API directory: If you look through the categories available, you will soon realize that, chances are, whatever needs to be automated for your business might have been implemented already by someone else and made available as a commercial service through an API. The good thing about APIs is that using an API is much cheaper than hiring a dedicated developer to implement the same functionality provided by the API. Another benefit is that whole teams of professional developers are behind those APIs, spending weeks and months improving, testing, and polishing the APIs they sell—you will likely not be able to provide the same human resources to develop the same high-quality software in a timely manner. So, it is always helpful to do some research and write down a list of APIs that might be useful for your business. API catalogues, like the one mentioned above, usually have some search functionality—just enter the name of the area your business operates in (or will operate in), and skim the list of APIs available. Once you know where to save some money on development by using APIs, it’s the right time to hire a PHP developer. Here’s why. Firstly, you will need a program to be developed to glue several APIs together. It will send data through to them, retrieve results, store the results somewhere, use another API for data analysis or further actions in a chain, and make all the data dance for you in your personal administration panel. Secondly, PHP programming in particular is so popular that all API developers make special PHP libraries available to simplify interaction with their APIs. Such libraries might be available in other languages as well, but PHP is very popular, and thus usually among the first five for which API libraries are developed. What is more, most APIs consume and return data in JSON and XML format: Working with these in PHP is one of the most trivial things and is enabled in the language out of the box. Finally, PHP development is among the most affordable. This means it will be cheaper to try things out with PHP developers. And if one leaves, it will always be easy to find another one. Integrate a shopping cart, calendar, and mailing list. Develop a bot for Facebook Messenger that can take orders and notify you by email/SMS; integrate with government postal services to verify order addresses and generate/print prepaid shipping labels. Develop an advertising media asset management system for your marketing consultancy business using Dropbox as a storage back-end and WordPress as a front end. Last but not least, your PHP developer will be able to discuss your idea and help you identify the best API options available on the market. Asking your developer about APIs is always beneficial and will help you to better understand your immediate savings on web development, as well as the long-term cost of using APIs. 2. You need an online shopping cart. If you are starting a retail business or running an offline retail business, and you want to start selling online, it might be the right time to contract some PHP development services. Most shopping carts are PHP-based, especially open-source ones. Wikipedia has a list of the most popular shopping carts with their features compared. You will see in the list how PHP is dominating the online retail niche. Installing the shopping cart on your server, configuring it per your business needs, and looking after it, i.e. updating the shopping cart and the server software. Integrating with your bookkeeping software, which is often a separate program or an online service. Integrating with third-party services, like mailing lists, online forms, invoicing, messaging, and so on. Developing custom functionality specific to your business processes. Automating routine work specific to your retail niche. While free software is good at automating generic processes, like taking orders and payments and keeping stock and a logbook for dispatched goods, there will still be more processes identified sooner or later, which, if automated, would speed up your business and boost your earnings. The benefit of hiring a PHP developer to tackle the points above is not only that they will help you identify in which order the points should be addressed, but also to estimate the deadlines and how it will affect your operations. It is especially useful when there are many various possibilities for automation and improvement, and you are not sure which ones are the best to implement first. Knowing the cost and timeline for the implementation of the desired additional features will ease putting them in the right order. It’s good to get some PHP consulting with this goal in mind. It should be added that PHP-based shopping carts are known for the enormous amount of add-ons and extensions available, both free and commercial. For example, there are more than 13,000 extensions for OpenCart, 300 extensions for WooCommerce, and 3,000 modules for PrestaShop. Chances are that some of the functionality you need has been coded already and is being sold at some affordable price range from $50-$200 per module. 3. You are doing a lot of repetitive work manually and it could be automated. One of today’s ways to boost productivity and save on human resources is to automate business processes. This is a niche where PHP programming fits especially well: It is lightweight enough for quick prototyping. At the same time, it is mature enough to have a good ecosystem with a huge amount of libraries for whatever data you want to operate on. Manual cross-posting to social networks and other media channels. Using Excel or Google Documents as a ledger, or for stock management or charts. Registering your new users manually in multiple back-ends. Gathering details of your clients from multiple sources and entering them manually in a customer management system (CMS). All these and many more tasks can be easily automated by developing special PHP programs (scripts) that either run on demand or periodically, like once a day at 8 a.m. before your office opens or at 8 p.m. after your office closes. Even if a single task takes only 30 minutes per day, that adds up to 2.5 hours weekly. Automate three or four such tasks, and you will enable your employees or yourself to do more useful work—one more working day per week. And here’s how you can see just how far you can go with PHP development by gradually automating repetitive work, one task at a time. You can grow exponentially without hiring more people. Hire a developer instead and let every automation benefit you long-term and eventually save thousands of person-hours per year. 4. You have an idea for a web service and you need a prototype. PHP is well known as a prototyping language. It’s used to quickly mock up a solution with basic functionality, and then move up to a minimum viable product (MVP). It has minimal hardware requirements and PHP developers are among the cheapest prototypers. This means that as soon as you have written down your idea and are ready to discuss it with a programmer, it is time to hire a PHP expert. Even before you decide to order the actual implementation of a prototype, a developer may help you detect and exclude features that are too complex and time-consuming to develop, and are usually not needed for MVPs. PHP has plenty of so-called “frameworks”—well-tested and ready-to-use pieces of code that a PHP developer can use as a starting point for prototyping. Each is tailored for different coding styles and endorses the development of add-ons for different purposes. This greatly extends the limits of what can be prototyped with programming and how fast—from basic calorie calculators to advanced graphic design systems; from simple one-page websites to complex systems utilizing artificial intelligence, mathematics, and physics; and from logic games to online courses. The rule of thumb is, if you have an idea and would like a prototype to see it in action, do not hesitate to hire a developer and discuss the idea with them after they sign an NDA. It is often practical to build a prototype and launch it publicly for free or at a reduced price, to get first users using your service and gather feedback sooner. This will help you to start listening to the market instead of guessing about what it needs, and eventually save money on developing unneeded features. For web services, an idea often comes from personal experience. If you solved an issue for yourself, and then found out that some of your friends had the same issue and struggled to solve it, chances are you found a product niche. That is how many small and medium businesses were born—out of personal experience. Almost every person will likely have had such an experience in their lives many times. As soon as you identify one, it is time to move to the next step and prototype a web service solving that one particular problem. Without a prototype, you risk spending thousands of dollars ordering a fully-fledged solution just to find out the market does not need it. How DropBox Started As a Minimal Viable Product is a good example of a popular web service that was initially created as a quick MVP. 5. Your website is built using a well-known PHP-based CMS like WordPress, Drupal, or OpenCart, and would benefit from custom functionality. It might happen so that you (or a friend of yours) once set up your website for your (mostly) offline business. With time, you grew your presence online and you would now benefit from introducing more custom functionality to your website. This is the right time to consider hiring someone for PHP web development. You want better integration between the website’s registration system and your internal customer list. You want to start taking payments online with your local payment system, for which your website engine has no integration available, because the payment gateway is not widely used. You want to build a custom ordering system not available in any of the existing shopping carts out of the box, and save time on compiling orders manually or by phone. 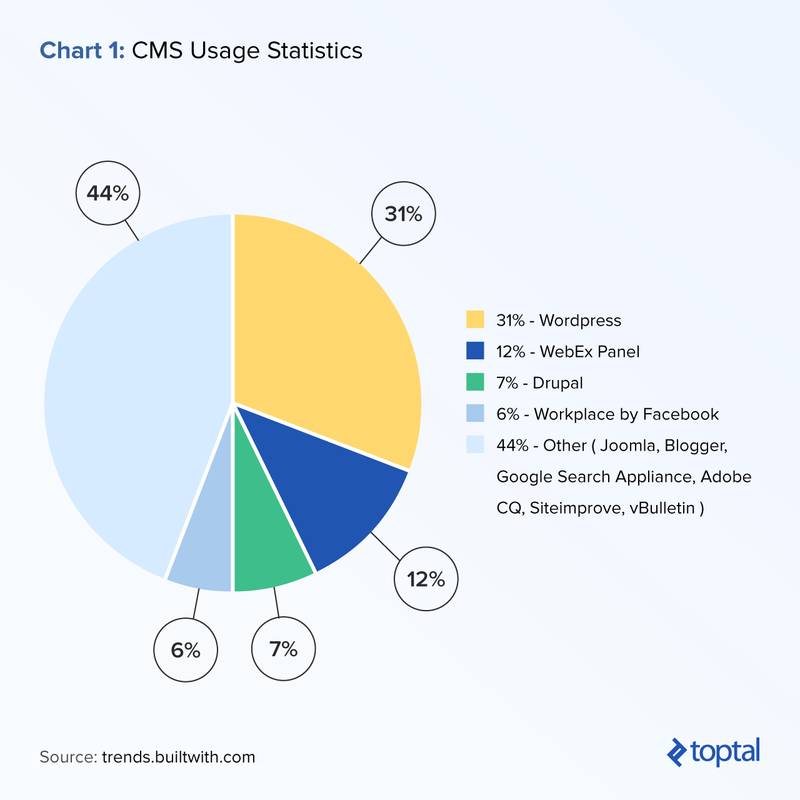 Now, as you can see, a lot of websites on the internet are built using well-known CMSes that are also PHP-based, like WordPress and Drupal. These are so popular that even governments use them. For example, these government websites in Australia use Drupal. At some point in time, as your offline or online business develops, you will realize it is time for your website to evolve, but the newly desired features are not available on the market as add-ons, plugins, or modules. When this happens, you will need someone with PHP programming skills to develop new, custom functionality. After hiring a developer—in our example a PHP consulting specialist—describe your website briefly as it functions today, and then get straight to the table and fill in the third column with estimates provided by the developer. They will ask you a lot of questions in order to provide you with adequate estimates. But it is surely worth the money and time spent: After completing the table, you will be able to rearrange the entries in your table by balancing between the boost the features will bring to your business and the cost of their implementations. When you can see that the total amount of time/money saved outweighs the cost of implementation, it’s a good sign that it’s time to start development. You will need to decide which period you can wait for your investment to pay off, so adjust the totals calculations in the second column accordingly. 6. You are using a mailing list that needs to be adjusted to your business workflow. Mailing lists have built-in tools to adapt the mailing process to your business workflow. However, they have limited capabilities. When you need more adjustments and control than can be achieved through a mailing list administration panel, it is time to hire a PHP developer. Gradually evolving mailing list automation is a great fit for PHP programming. Mailing lists can usually be simple, so there is no need for a more sophisticated language. PHP is also the cheapest option in this context: It can run on minimal hardware, like a five-dollar-a-month virtual private server (VPS) from DigitalOcean. The PHP programming language has a low entry level, so that even if you are not a PHP expert or even a programmer, you can read PHP code and understand what is going on, if you need to. Subscribe a customer to a mailing list after they buy something from your shop; the mailing list depends on which category the purchased good belongs to. Send a series of follow-up emails after a user registers on your website and fills in at least 20 percent of their profile details. Send employees a series of follow-up emails after they complete yearly internal training. The possibilities are endless after you put scripting to work. PHP programming for mailing lists is rarely a complicated task, yet it can improve your customer experience greatly. Your hired developer will help you understand what tasks can be programmed for your mailing list through an API, and then write their scripts. 7. You want to understand whether your idea can be turned into a piece of software, and how. If you are not a developer and have an idea, you will benefit from discussing it with a developer with wide technical expertise. In this context, any developer would do—all you need is a technical point of view on your problem and its possible implementations. However, the market of PHP developers is the biggest, and comparatively the cheapest. Here, it’s often difficult to know how much or how little you already know. Sometimes, you might be surprised to find out that certain simple-sounding tasks are currently impractical or even impossible to automate. Other times, you may be delighted to learn that the giant pile of tedious work you hated doing each week can be easily scripted away. Hiring a developer even before you are ready to invest money into development is a good idea: Consulting a programming-savvy person will help you understand the limitations, obstacles, and other factors that can help you save money or optimize the development process. The idea behind these signs will help you know when to take that next step. Above are just seven clear signs. However, there are many more. The goal is not to list them all, but to demonstrate the principle of how to spot them by getting into the habit of testing hypotheses in your mind. What if this/that were developed/implemented? What would be different for me? How could my idea, my business, or I personally benefit from it? The rule of thumb is to hire a PHP developer as soon as you have written down your ideas and done your estimations—even if they are rough, approximate ones. This strategy is the key to avoiding losing extra income and spending your employees’ working hours inefficiently. It’s also how you can make the best of your investment and conquer markets competitively. 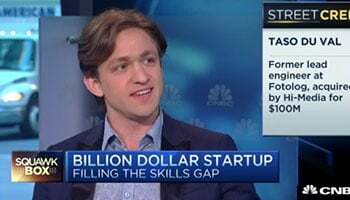 So practice identifying the need for a hire: This skill is a valuable asset in any business.